This exquisite casino, the largest in the Caribbean, features more than 1,000 exciting new slot machines operated easily by inserting your room key. You can also enjoy blackjack, roulette, baccarat, Let It Ride, Caribbean Stud Poker, and other popular card games at 100 gaming tables. By using your room key in slot machines and at tables, you can easily start earning comps at the Atlantis Casino. 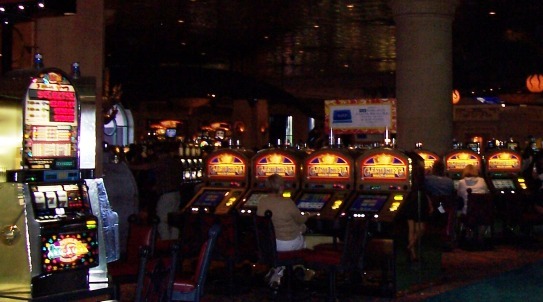 The location between the Royal Towers and the Coral Tower/ Marina means that pedestrian in shorts and sandals continually stream past the blackjack tables and slot machines. 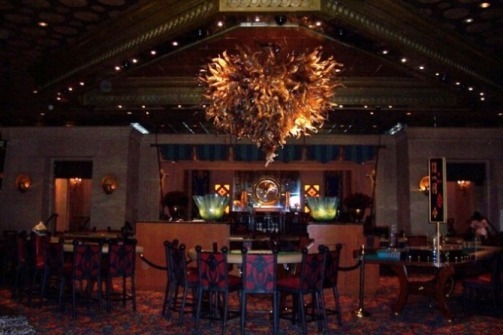 Unlike other casinos you may have visited, you always know what time of day (or night) it is. First of all, the enormous windows overlooking the lagoon allow the daylight to filter in. In addition, the people walking by will no doubt clue you in. In the morning, freshly dressed folks have covered cups of coffee. In the early afternoon, sticky kids with ice cream cones follow their parents while groups of shoppers tote their purchase in bags with colorful logos. Late afternoon sees sunburned soggy and sandy families heading back to their rooms to get ready for dinner. Evening brings streams of bathed and dressed passersby on their way to one of the restaurants. For more information and photographs, check out Atlantis Casino images.